Halley and her 6-year-old daughter Moonee live in a motel just outside Disney World Orlando in Florida. Precocious Moonee views the poverty-stricken strip of motels and fast food outlets as colourful and exciting. The food is sweet, there are few rules and supervision isn’t required. 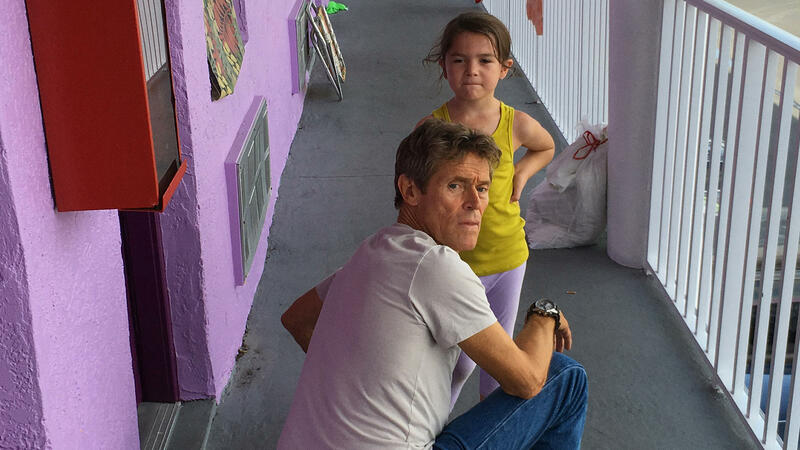 At most, Moonee wants to keep volatile manager Bobby (Willem Dafoe, one of the few professional actors in the film) on her good side even though his frustration amuses her. Filmmaker Sean Baker shot his previous feature Tangerine on an iPhone 5s. 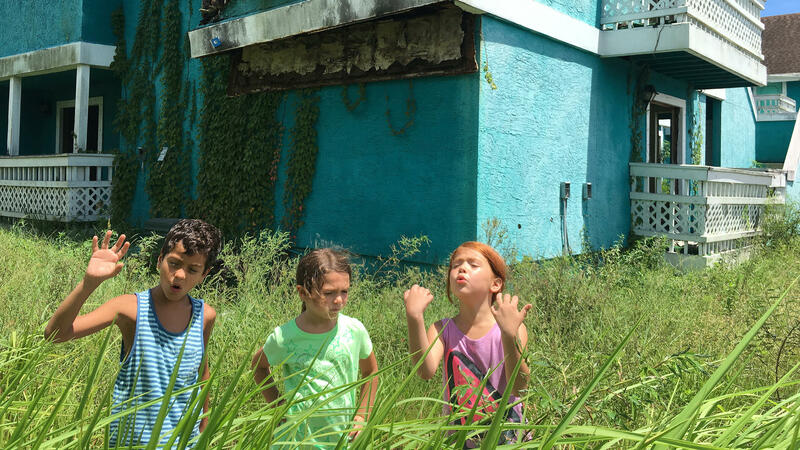 The Florida Project was shot on 35mm. The camera lovingly races along as Moonee and her friends tear around the motel. The editing is energetic, the tone is loud and funny. However, deep drama underlies this warm film. Moonee's youthful perspective means she can’t see the financial misery she and her mum are in. Nominated for an Academy Award for Best Performance by an Actor in a Supporting Role (Willem Dafoe).